British East Africa was a fanciful collision. Colonial farm manors, relaxed and dignified but with a touch of humor (rocking chairs, veranda, tea things, and perhaps a semi-domesticated gazelle wandering around inside) commanded giant tracts of land and attempted to impose a semblance of good order on an unruly continent. The itinerant inhabitants—Kikuyu farmers, Luhya and Luo, Masai warriors, the poor Wanderobo and a smattering of contemptuously regal Somali—for the most part accepted the colonizers as the act of a garden-variety pagan God: neither good nor bad, the British were just a fact like any other and not worth worrying about. In 1914, Karen Blixen married Hemingway’s second-favorite hunter, Baron Bror von Blixen, and moved out to a six-thousand acre farm to grow coffee. Her coffee never prospered; the farmland was too far above sea level to be agreeably fecund. After a series of droughts, blights and natural disasters (including a genuine plague of grasshoppers) she was finally forced to sell the land in 1931 and return to her native Denmark. But Africa and the African Native—to her a single, unified, majestic, cosmic concept—remained a great love and preoccupied her for the rest of her life. She often marveled how her compatriots back in civilization could be so indifferent to the phases of the moon or the importance of a good rain. 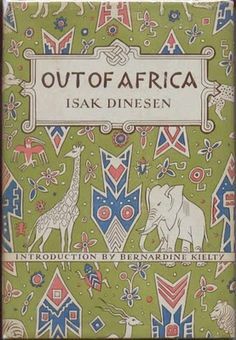 She published Out of Africa under the penname Isak Dinesen in 1937 and made her reputation as a writer. She describes the life and office of a colonial farmer: doctor to the surrounding countryside (since first-aid turned out to be considerably better than no-aid), judge of important disputes (typically settled by the redistribution of goats or cows), mother, charity-giver, benefactor, comic fool, chauffer, an object of pity rather than sympathy. The Western attempt to mold the land was a partial success—it introduced medicine, sanitation, roads and light bulbs and other things Africa didn’t necessarily want. The attempt to mold the African mind was a failure, a handprint in water. As for Africa’s impress on the Western mind, the success was complete: no European could come back from Africa without being permanently changed. The coexistence in colonial Africa was something of a miracle of precarious balance and curious humanity. In contrast with today’s common, officially endorsed view of this important patch of history, you might find a larger and more sensitive rendering in Karen Blixen’s beautiful book. Out of Africa, by Isak Dinesen. Random House, 1937. 389 pages.